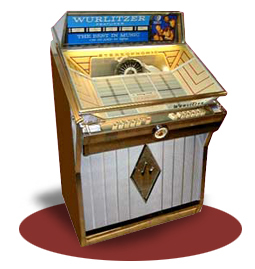 Founded as “Rudolph Wurlitzer Company” in Cincinnati, Ohio in 1856, Wurlitzer had a long tradition of producing musical instruments including coin operated pianos and theatre organs. 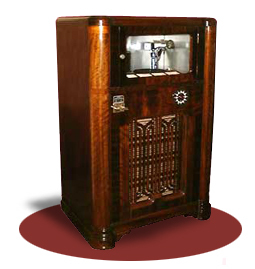 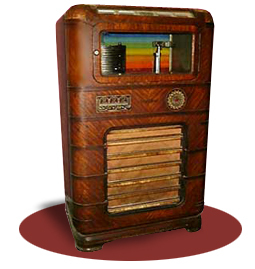 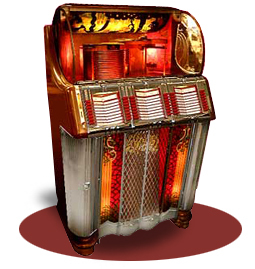 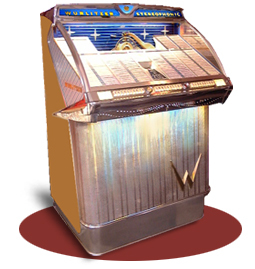 When Rudolph’s son Farny Wurlitzer took over he saw that prohibition was ending and jukeboxes would be booming so in 1933 he bought the patents for the so called “Simplex-Mechanism” from Homer E. Capehart and introduced their first jukebox “Debutante” the same year. 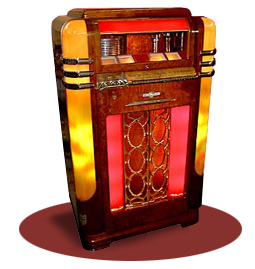 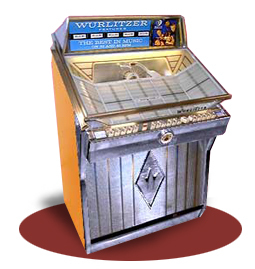 Thanks to Paul Fuller, designer from 1938 – 1948 and a great advertisement campaign introducing the musical note “Johnny One Note” in the second half of the 1940s the name Wurlitzer became a synonym for jukeboxes in general and produced many of the most collectable models including the iconic 1015. 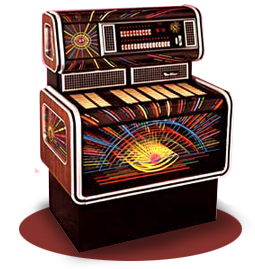 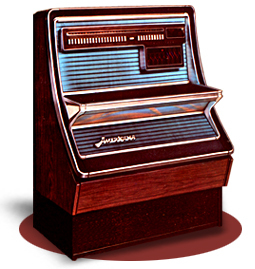 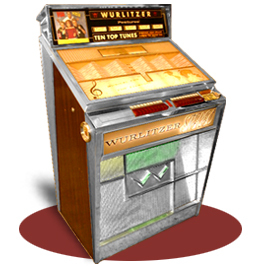 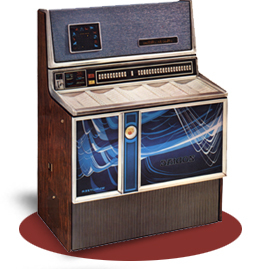 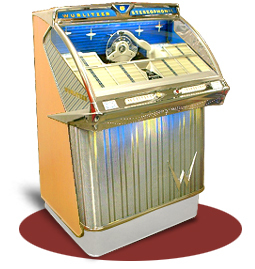 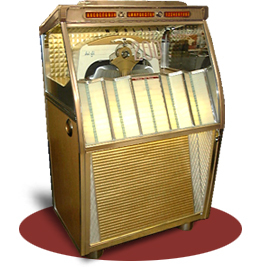 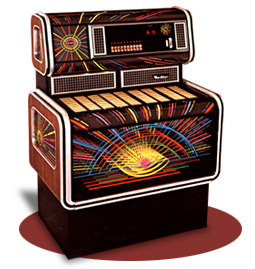 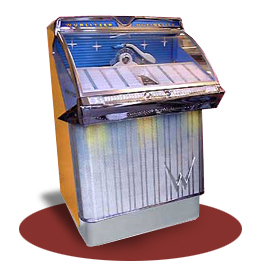 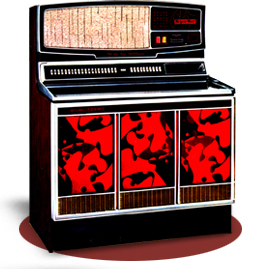 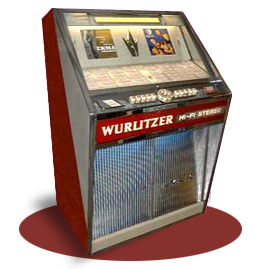 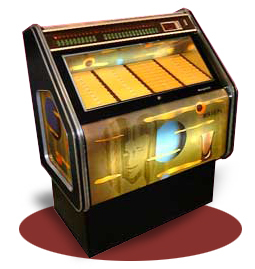 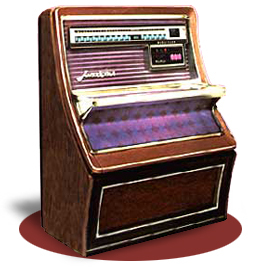 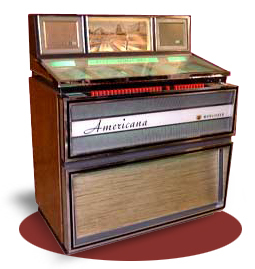 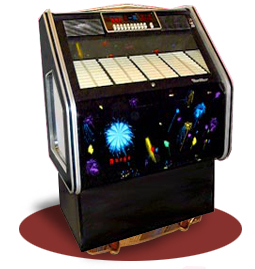 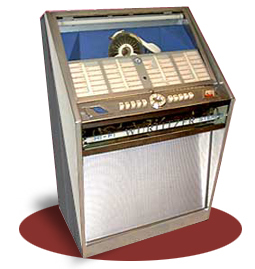 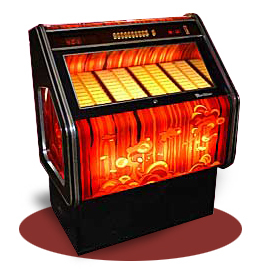 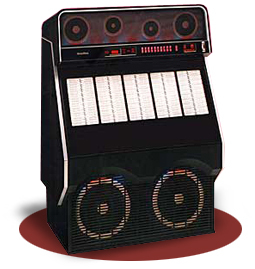 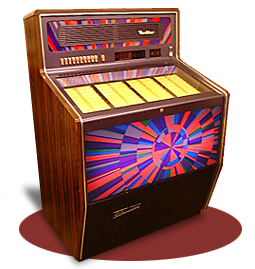 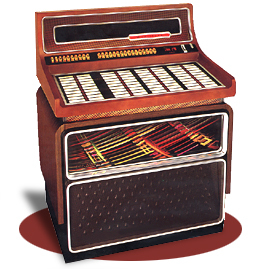 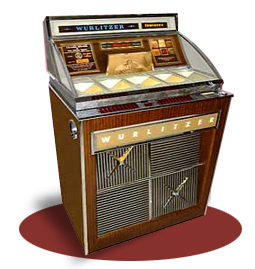 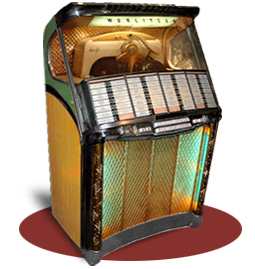 In 1960 Wurlitzer established a German subsidiary in Hüllhorst who produced jukeboxes from 1961 under the name Deutsche Wurlitzer. 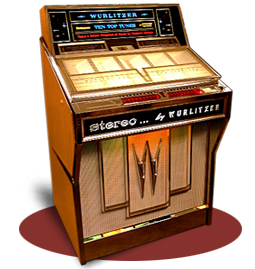 The Wurlitzer factory in North Tonawanda suffered with design issues for it’s new mechanism in the early 1970’s and, due somewhat to the success of the German plant, closed its door in 1974. 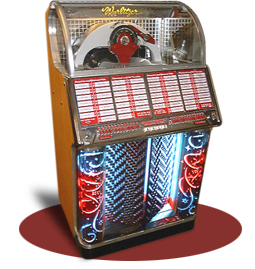 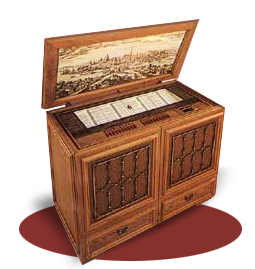 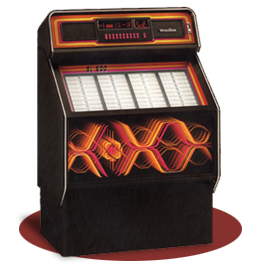 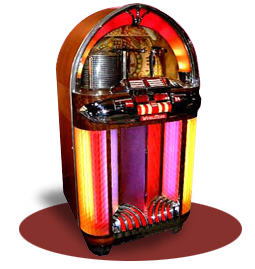 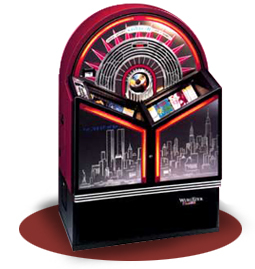 The German subsidiary continued to produce jukeboxes up until 2013, ironically creating their most successful model in the 1980’s, a copy of the 1015 called the ‘One More Time’. 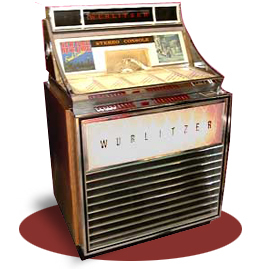 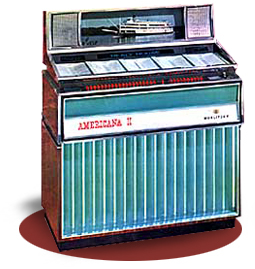 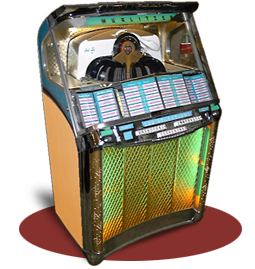 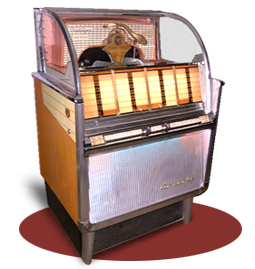 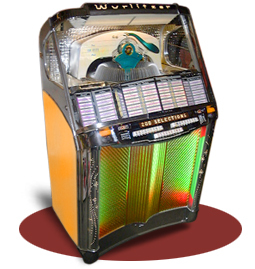 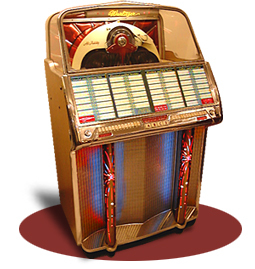 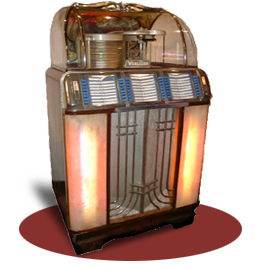 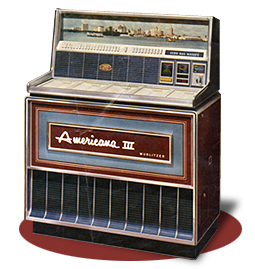 Wurlitzer jukeboxes were also produced under license by Notomat in Italy, Casa Riojas and Sonata in Mexico, CA Victor Co. Ltd and Siegel. 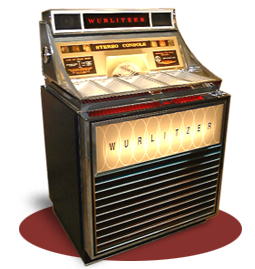 in Canada, Wurlitzer Automatic Phonograph Co. in Australia and also assembled in Germany by Husemann during the 1950’s.